You know that we've previously written about overweight pets, but this New York Times blog post has us shaking our heads with disbelief. It seems that many pet owners remain oblivious to the tons of easily accessible information available (in hard copy and web magazines, websites, blogs and social media sites) on what and how much to feed your pet. 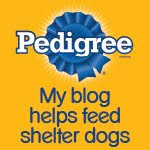 And of course, there's always the recommended feeding guidelines on every bag, can, or packet of food and treats. 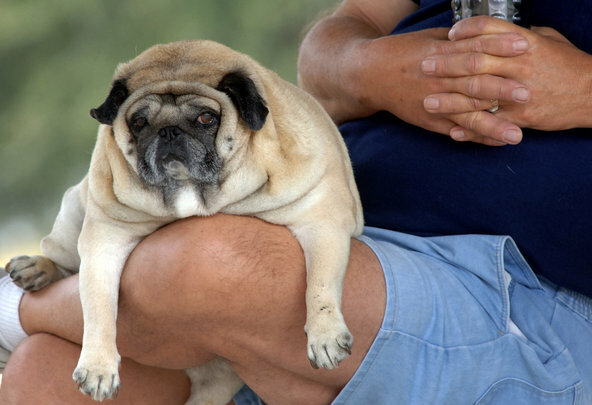 So how have over 50% of our pets become overweight or obese? There's no getting around the fact that at least in the United States, humans are getting heavier-and it turns out that they've "gained some four-legged company"-that 50% overweight or obese figure for our pets translates into nearly 85 million pudgy pets. But overweight pet owners don't necessarily pass on that propensity for weight gain to their furkids. I'm sure Parental Unit wouldn't mind me saying that she's a good 20 pounds overweight, but she's never had an overweight pet. (What's that, Parental Unit? Aaaach! O.K., she did mind...) And we don't think she's the lone example. Anyway, one pet owner interviewed for this article said that she "had paid little attention to [her dog's] diet, feeding 'Lacey' plenty of food because 'she always wanted more' ". Of course we're "always going to want more" food-that's how most of us dogs and even many cats are programmed. It's up to you human owners to watch our food intake for us! Thankfully this pet owner has repented, and has been vigilant with her next dog (Lacey had to be put to sleep because of complications from obesity). She even monitors calorie intake and feeds healthful selections like fish oil, spinach, zucchini and turkey breast. But not all pet owners have followed suit: "Seeing animals suffering from health conditions secondary to their obesity is a common situation," said one veterinarian for a New York animal hospital. And veterinarians, it seems, are caught in the middle-some are too polite to tell the owners that what they're doing is wrong, and that both their pets and their wallets will suffer dearly. "It can be a sensitive issue," said one veterinarian. "People feel defensive, as though they've done something wrong-that their pet has suffered discomfort from something they did...you have to be very delicate." So that's our two cents on the issue of the burgeoning pet obesity epidemic, what's yours? 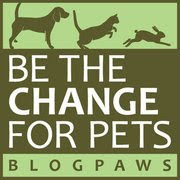 Do you have, or have you ever had, an overweight or obese pet? And what are some of the changes you've made to combat that problem? Let us know! P.S. Check back tomorrow for Hairball Awareness Day festivities! We don't understand the humans! Great post! We know with Kolchak he will eat as long as we will feed him. Our K9 Fitness camp is coming soon - we try to make excercise with the dogs fun! !